One of the things we take pride in at Skylink is being there for our customers when they need us. We don’t just offer services and basic support. 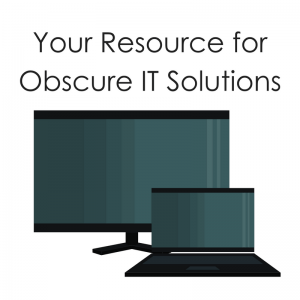 We have the skill and experience to assist with even the most obscure IT issues. However, if you’re a client we certainly won’t make you go digging through blog entries. If you find yourself facing an obscure IT issues, don’t be afraid to reach out to Skylink Data Center’s staff for answers. We’re available 24/7 to assist you with your server, hosting, and cloud computing services needs! Simply dial 239-403-2950.